Oh I hope you patted yourself on the back 😃 Great shots! 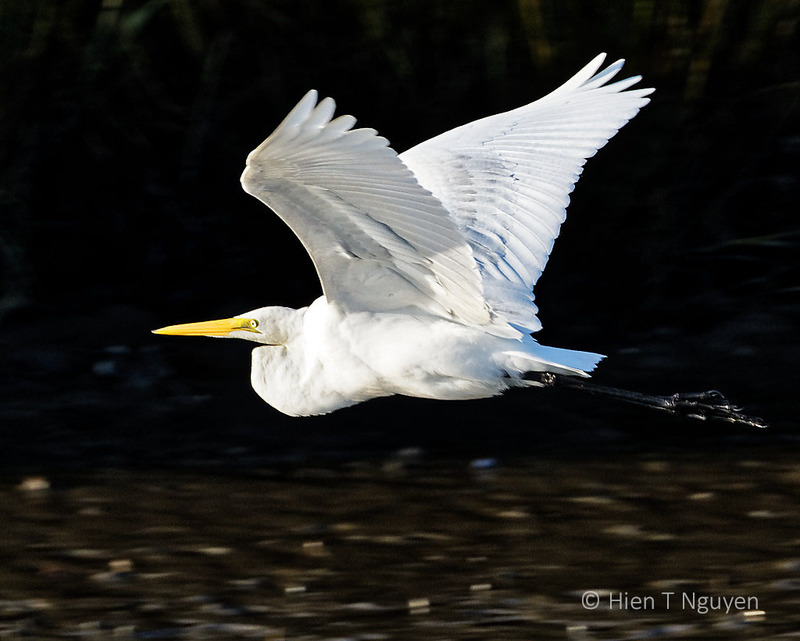 These are wonderful, Hien, and isn’t it funny how the Great egret almost looks like pelican because of the way it holds its’ neck? 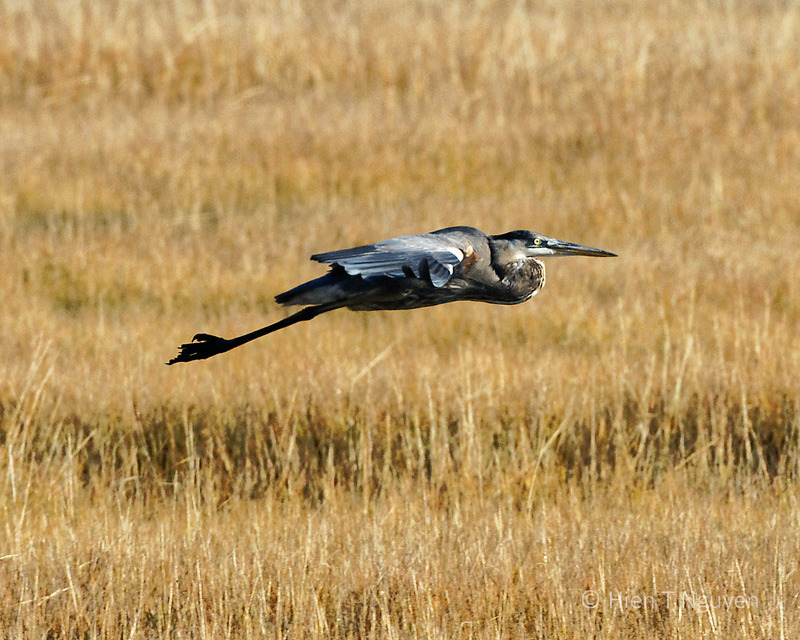 I took photos just yesterday of a Great blue heron flying, but I didn’t have a long lens and it was towards the end of the day, so they came out with too much noise. But it’s always fun to try. 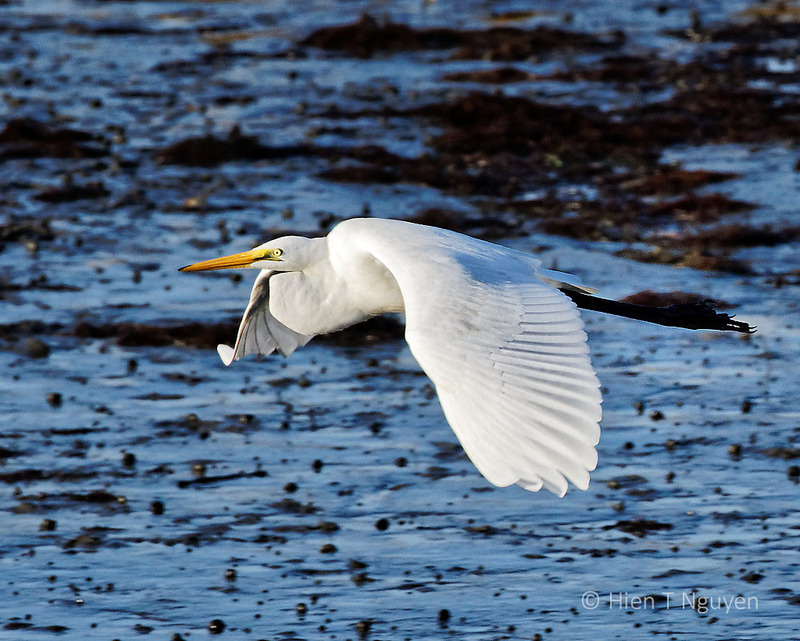 Great Egrets and Great Blue Herons are related to Pelicans, and they all fall under the order of Pelecaniformes. I had to look that up! Birds in flight are difficult to photograph well, you seem to have mastered it now, as these are excellent! Thank you Jerry! I don’t think I have not mastered BIF yet. Still a lot to learn, and patience to acquire. Wow, these are awesome, Hien! Thanks Eliza. Glad you like them! Beautiful – like an airplane with its under-carriage up! You are a most talented photographer, Hien! That’s a great compliment coming from you, Dries! I appreciate it. Awesome images, Hien! The clarity is incredible. Thanks Donna! It was a good day at the refuge, with plenty of sunlight. 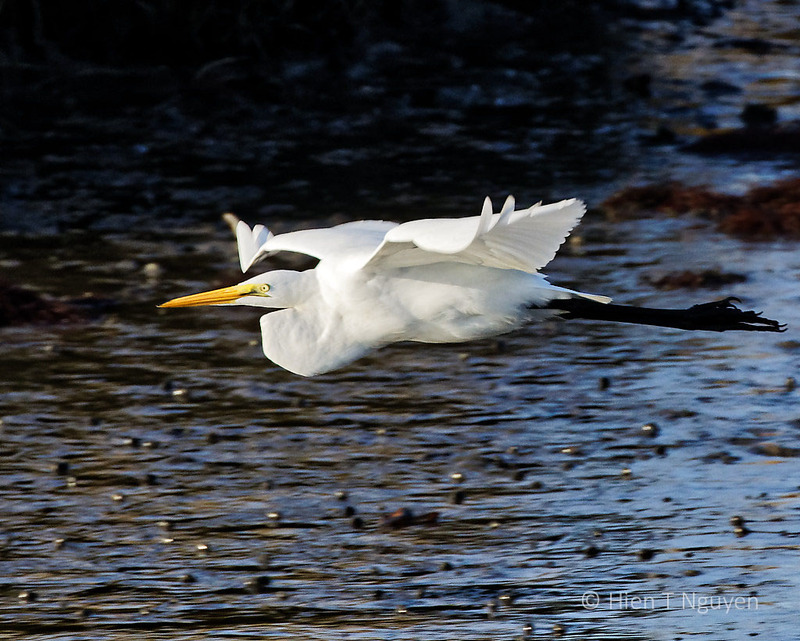 Fabulous shots and I know from experience how hard it is to capture a bird in flight. It can be frustrating unless you have the time to spend hours/days/weeks out in the field. I must admit I tend to aim for stationary birds wherever possible. Those are wonderful shots. 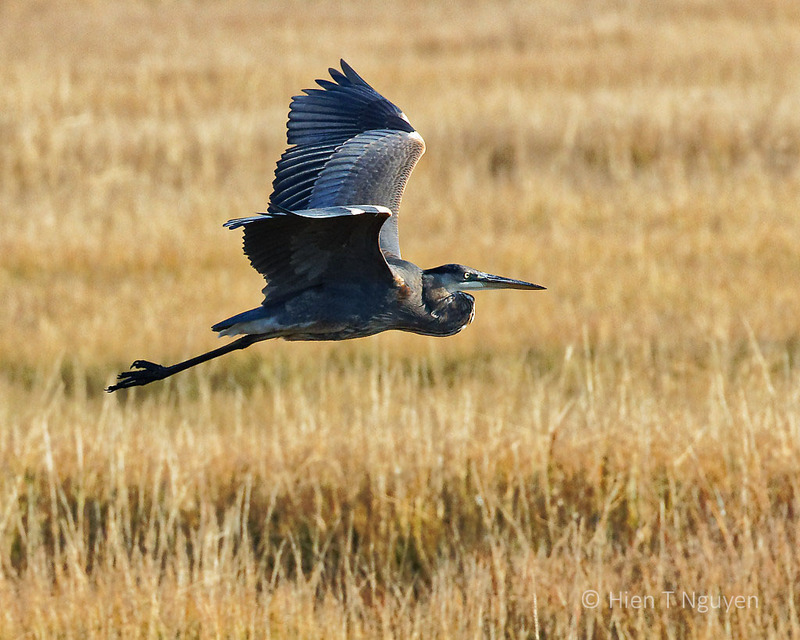 I’ve never seen a photo of or actual Heron in flight…only just standing. They are big birds and are quite a sight when they fly. Thanks Katelon! Hien–the photos you post are always perfect! Those are indeed great shots. 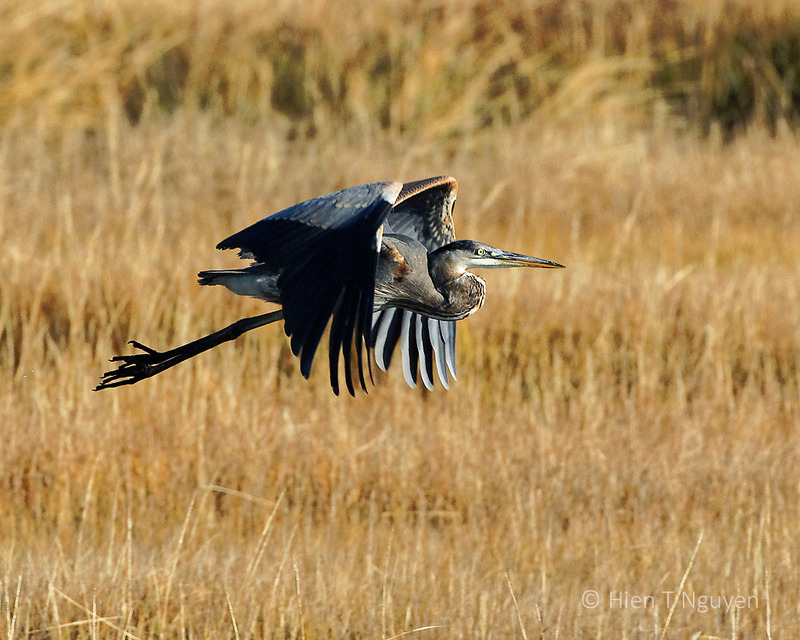 I especially like the third one of the Great Blue Heron.